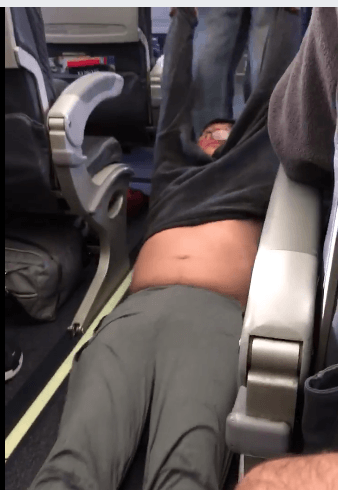 United are saying the flight was was oversold. The devil in the detail is that the seats were needed for their employees to make a “downline connection” as they call it which really means, flight crew for the day after. Oversold my arse. Continuing to make the story worse was CEO Oscar Munoz’s statements about “an upsetting incident”. “I apologize for having to re-accommodate these customers“ he said. What the hades United? You value your own internal staffing over paying customers? United, this is outrageous. The gentleman was already on board. You should never have allowed the boarding if that was the case. As for the Doctor being “computer” selected. My Arse. Like in Ancient Rome times, it is done through proscription. If you booked through a 3rd party site instead of through the airline, you are down on the proscriptions. If you bought a cheaper fair, you are on the proscriptions. At the opposite end of the spectrum, if you are Frequent Flier Senatorial or Equestrian class, you are probably ok. Even if you are plebian, gaving connecting flights may also help you. With all that being said, you may want to reflect on United’s true loyalty here. Themselves. Let’s hope your business becomes suitably “re-accommodated” after this.